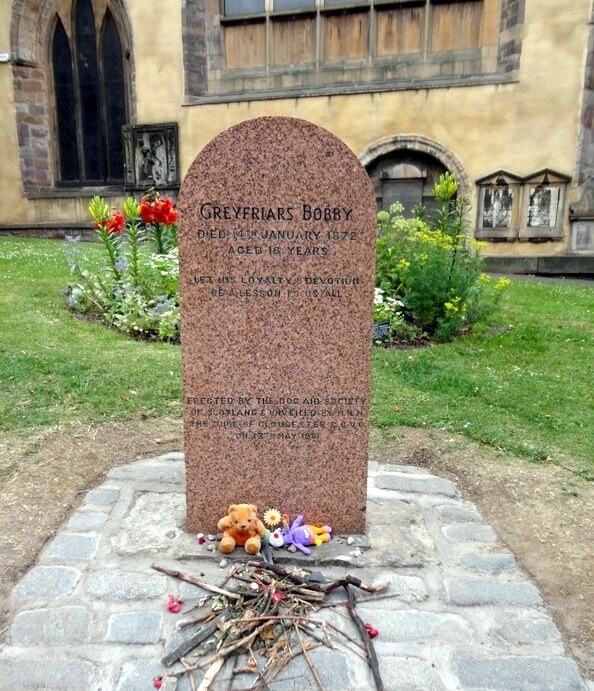 Engrained into the Scottish folklore like bagpipes, the story of Greyfriars Bobby is the stuff of legend and has been the subject of Hollywood movies and numerous books, Our Swede friend Virve shares her experience on visiting Bobby’s shrine. A statue of little Bobby. In the background there’s a glimpse of a restaurant named after him. When you hear the word “Scotland”, what first comes to your mind? Perhaps stunning views over green hills, hundreds of square miles with beautiful lakes, medieval ruins, or Loch Ness and its mythical “Nessie”? Let’s not forget to mention the melodious sound ringing from bagpipes, playfully lingering around you like the background music in a fabulous movie. These have all been my top associations when reflecting over Scotland, but after visiting Edinburgh in July I found yet another association; something that touched my heart deeper than anything else. Edinburgh, the capital of Scotland, holds many treasures for the one looking for a destination of profound historical and cultural dimensions. And in the middle of this, being an adorer of the canine world, I discovered a piece of history that moved me in the most delicate way: the story of Greyfriars Bobby. Legend has it that precious Bobby was the quadruped companion of a night watchman of the Edinburgh City Police, named John Gray. They shared life’s ups and downs for two years in the mid 19th-century, until Bobby’s dear friend tragically died from tuberculosis. What then happened to this loyal dog, you might be wondering? The extraordinary but supposedly true continuation of the story reminds us of the many different expressions of an unconditional love. Mr. Gray was buried in Greyfriars Kirkyard, which is the graveyard surrounding Greyfriars Kirk in Edinburgh’s Old Town. Despite the efforts of the yard’s keeper and others, Bobby would not be discouraged from guarding the grave of his human. And there he sat; watching over the person he loved the most, every single day – for 14 years. Bobby was provided with a shelter just near to Mr. Gray’s grave, as many locals were touched by his faithful commitment. Even though the citizens of Edinburgh looked after him, Bobby would not abandon his late companion. It is said that Bobby would leave the tomb only once per day; at one o’clock, when the gun sounded from the prominent Edinburgh Castle. This was the time he would run to a certain eating house, in which he would be served a meal at the gracious hands of the holder of the beanery. Upon finishing it, however, he would return to the spot of his comrade’s rest. Bobby’s grave. Visitors can leave toys for dogs there, as they will be collected and given to local dog shelters. The spirit of Bobby’s kindness lives on! It’s fair to mention that separating fact from legend is always tricky, but whatever the case is, it does not negate the core moral of the legend: that true love is unconditional. It challenges the concept of death, and even conquers it because true love lives on, into eternity. And the most important lesson of them all: there’s no love like a dog’s love! Be kind to animals – always. Also read, How do you wait for someone who will never return? This was such a sweet, moving tale of Bobby. 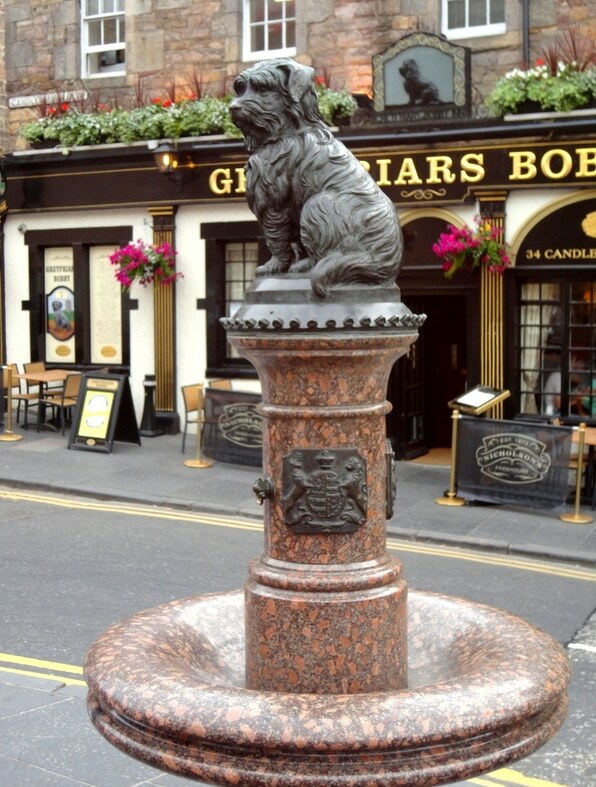 I remember Greyfriar’s Bobby- it was a story we had in our English Reader in Class 2. I also made my children see the movie and they cried and thought I was very cruel to make them see it.